The winter weather prompted us to head south to Florida from Minnesota as the temperatures dipped to the single digits. Florida’s forecast = 85oF and sunny! As a bonus I knew I could park my Travel Trailer at my family’s home and do some moochdocking while exploring the area. During this visit, I asked my mom to make Florida’s State Pie, the Key Lime Pie. As a kid growing up in south Florida we moved a lot. At every new house my mother would plant a Key Lime tree. Kind of a nice gift to leave behind to new owners once we had moved. With an abundance of the little round fruits, limeade and pies were a normal part of growing up in Florida. 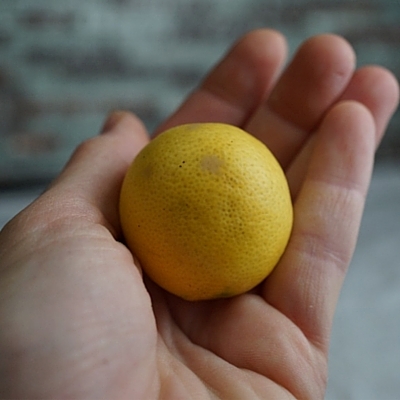 Key Limes are smaller, yellow in color, have a light floral citrus note, and are sweeter than typical green limes found in grocery stores. It is completely unacceptable to use anything but key limes for this pie. The Pie Purists (yes they do exist) will also argue that graham cracker is the only legitimate crust when making a Key Lime Pie. When I suggested trying a pecan crust my mother’s eyes nearly rolled right out of her head. Quickly adding a tongue click and sigh in case I missed the extravagent eye rolling. “Graham cracker crust.” She said definitively. Pie Purists!!! While researching for this article I found mention again and again of Florida State Rep. Bernie Papy Jr. who is said to have introduced legislation calling for a $100 fine to be levied against anyone advertising Key lime Pie that is not made with Key limes. I was unable to verify a legitimate source for this legislation but, I stand by my claim that you need to beware of Pie Purists when discussing Key Lime Pie. I go a step further to add that no meringue should touch this pie, ever. The humid climate in Florida causes the meringue to be a chewy, sticky, glob that interferes with the silky texture of the pie. 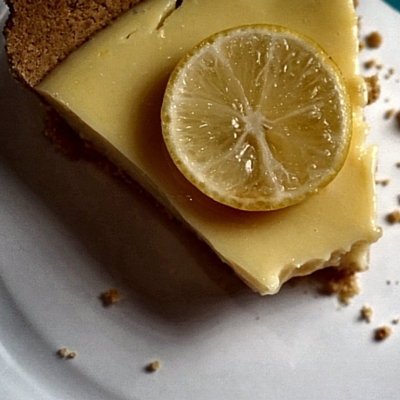 I am going to share with you the only acceptable way to make a Key Lime Pie. The recipe came to me from my mom and to her from my godmother. Place the graham cracker crumbs, butter, and sugar in a food processor and pulse until combined. Firmly press crumb mixture into bottom and along the sides of a 9-inch pie dish. Bake at 35o0 F until crust is slightly golden, 10 to 12 minutes. Let cool completely. 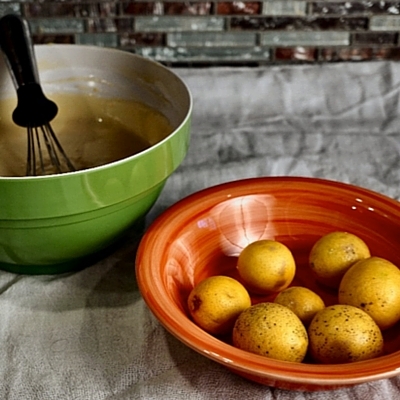 Place Sweetened Condensed Milk, Fresh Squeezed Key Lime Juice, and Egg Yolks in a bowl and mix until well blended. Put mixture into Graham Cracker Crust and refrigerate until set. 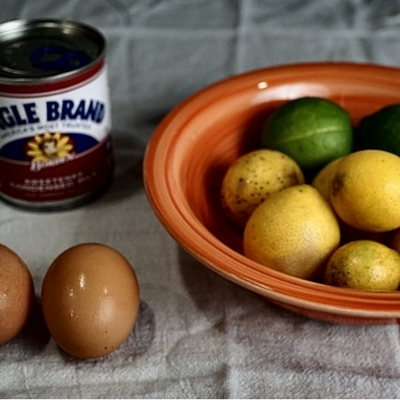 *Note: For those with an aversion to raw eggs the action of the acid in the lime juice denatures the proteins in the eggs much like heat does when cooking in an oven. I ran a side by side comparison of oven cooked vs acid “cooked”. The baked pie is slightly darker in color, the flavor is sweeter. Right up front you taste caramelized sugar with cooked milk notes and an overall citrus sour profile that is subdued. The traditional way to make this pie creates a dessert that has floral citrus notes right up front, it is sour, slightly sweet, and a little milky. 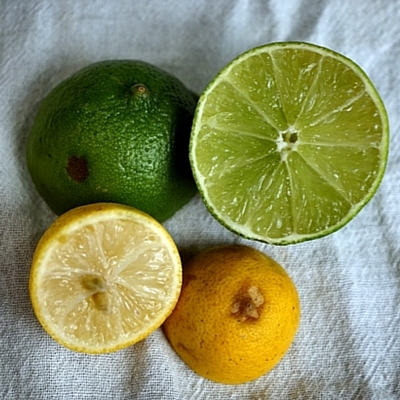 Baking minimizes the flavor of the Key Limes. If you would like to bake the pie, put it in an oven for 10 minutes at 350oF but, don’t let my mother catch you! Yum! Pies looks great! Can’t wait to try it.